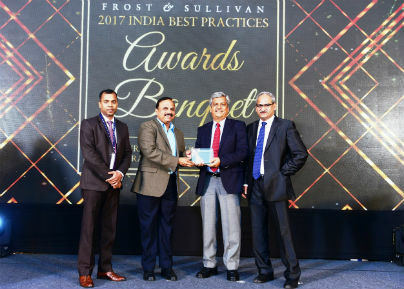 Bangalore: Wipro Lighting, part of Wipro Enterprises (P) Limited and a leading player in lighting in India, has received the “India LED Lighting Visionary Innovation Leadership” Award at the 2017 Frost & Sullivan India Best Practices Awards. The ceremony was held in Mumbai recently. Frost & Sullivan Awards recognizes companies across India and global markets for outstanding achievement and performance, superior leadership, technological innovation, customer service and strategic product development. Wipro will continue to bring new & advanced LED lighting technology for energy efficient smart lighting & data enabled new age lighting solutions to drive the sustainable future. In its constant pursuit of innovation, Wipro Lighting has now kick-started its efforts to add a new revolutionary LiFi lighting concept to their portfolio of innovative products with the help of pureLiFi who are global leaders in LiFi technology and commercialisation. Congrats for this award..I pray you will get more success.